If you’ve seen the movie “Close Encounters of the Third Kind” (sometimes abbreviated by fans as “CEIII”) then you’ve seen Richard Dreyfuss building a model of Wyoming’s Devil’s Tower out of mashed potatoes on the dining room table. That iconic scene became a running joke among me and my office mates in the military remote viewing program at Fort Meade. 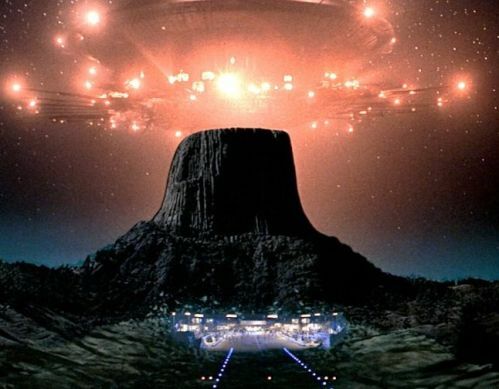 So much so that after my first-ever physical visit to Devil’s Tower with my kids in 1986, I brought back a sack full of small rocks gathered from the base of the Tower. From then on I would usually hand out one of these rocks to each new military remote viewing candidate to commemorate their graduation from the Stage 3 level of controlled remote viewing (CRV) training. In CEIII, RIchard Dreyfus started out with mashed potatoes but graduated to more earthier materials. The reason for the affinity between we military viewers and the CEIII movie was that Richard Dreyfuss was doing what we recognized as Stage 6 in CRV—the culmination of the CRV process where the remote viewer constructs an actual three-dimensional model of the intended target, relying only on his or her intuitive processes. 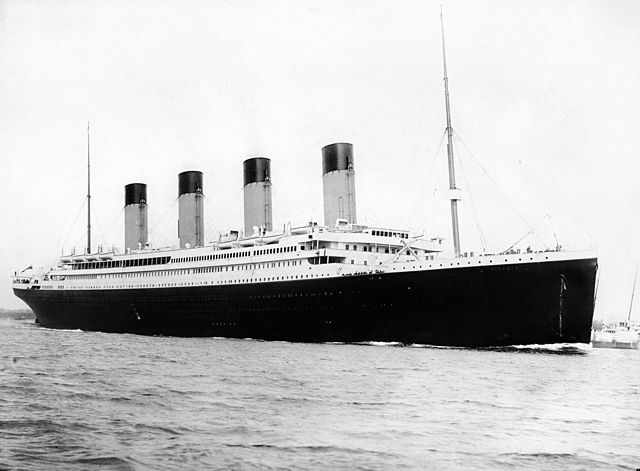 RMS Titanic on her maiden (and only) voyage. My latest Advanced CRV class is just wrapping up, and I thought I’d entertain you with some photos of the exercise I use to introduce Stage 6 modeling to my students. This isn’t a remote viewing exercise per se. Rather, its goal is to students familiar with manipulating the materials they will be using when actually engaged in the remote viewing process. So unlike in a true remote viewing experience, they know from the beginning what it is they are supposed model. 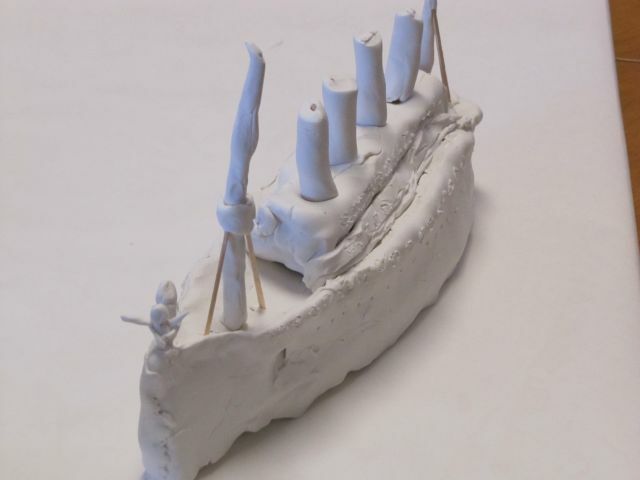 And that is the RMS Titanic. Students Joyce Wahlberg and Jamie Walker having fun modelling! Engaging with the materials as a way of preparing for actual remote viewing work is valuable. 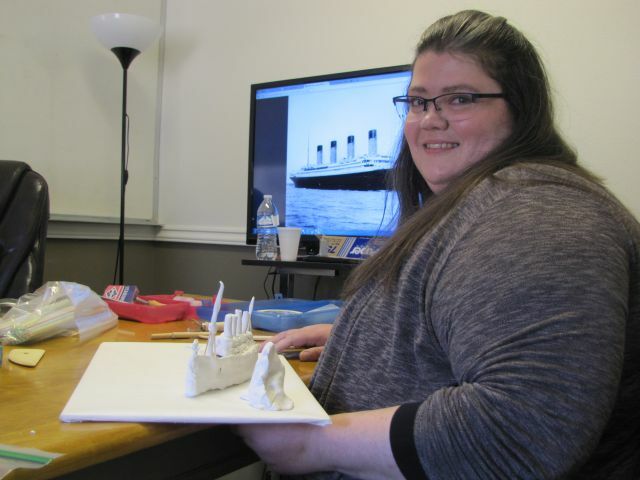 Jamie with her completed model. 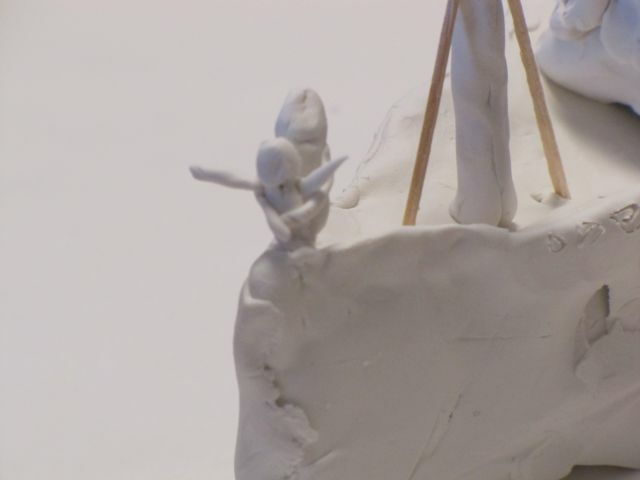 Yes, that is Kate Winslet and Leonardo DiCaprio on the bow of the ship. 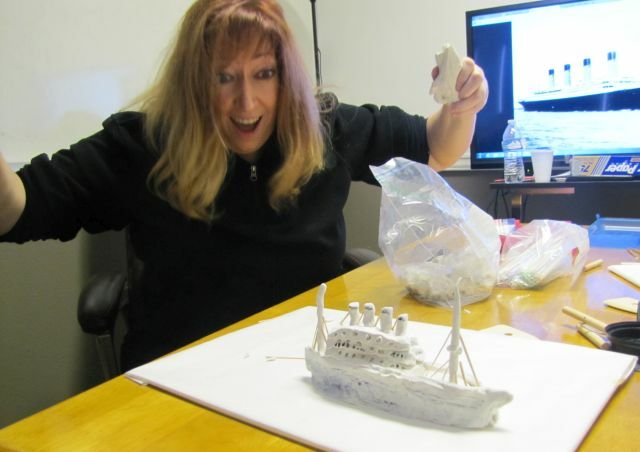 Joyce getting ready to take out her frustrations on the Titanic! 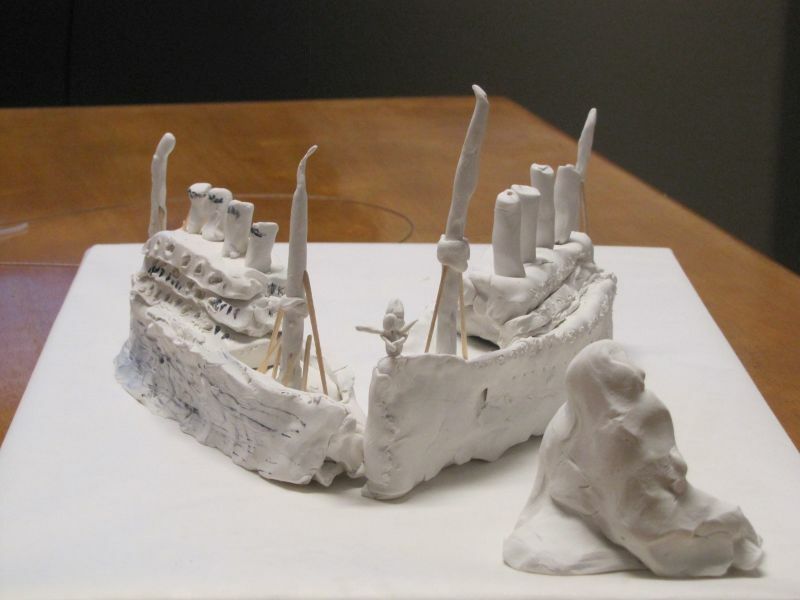 The finished models, with the iceberg! Click here to see what happened next!